Thinking about implementing GPS tracking within your fleet? Great news. That means you’re in good shape to make your fleet more efficient, improve operations and reduce your overhead costs. But now that you’ve gotten this far, it’s time to make the big choice… what GPS tracker do you choose? The choice is clear: Geotab. Our Geotab units feature the best technology on the market for today’s fleets, at a price that gives you the best bang for your buck. Here are 5 ways that our GPS system blows away the competition. You can get rolling right away: With Geotab, there’s no complicated setup. You locate your vehicle’s diagnostic port, plug in the unit and you’re ready to roll. Here’s a video showing how easy it really is to get started. 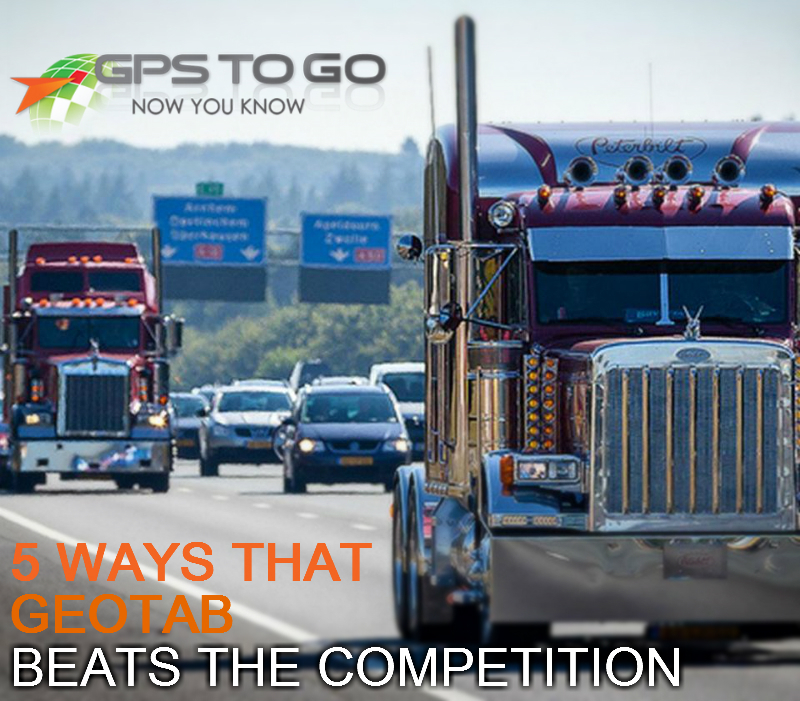 It Gives You The Amount of Data You Need: The beauty of using Geotab is that whether you want a top-level overview of your fleet stats, or want to do advanced route optimization and driver coaching, Geotab gives you all the data to do so. It’s easy to find the information that you need to drive real results for your fleet, right away. 3rd party app integration: The Geotab marketplace features a huge range of apps, add-ons and accessories to ramp up your fleet tracking. No other fleet tracking company can match the same amount of custom reports, software solutions and hardware accessories to turn your fleet tracking solution into the perfect tool for your specific needs. Check out some more info on Geotab add-ons in our recent blog post. It gives you easy HOS tracking: In the United States, the Federal Motor Carrier Safety Administration is implementing rules that will make it mandatory to log hours electronically. Similar rules are expected to be introduced in Canada before long. With Geotab, you have access to the quickest and easiest HOS tracking solution on the market today. Ensure easy compliance and don’t burden your drivers with overly-complicated hours of service tracking. You get the support you need: Need help getting started? You can rely on the trusted and experienced name that Geotab has built through the years. Product guides, forums, ongoing support – if you ever run into something that you need a hand with, you can trust in technology and support backed by Geotab. You try out a device or devices on your fleet vehicle(s). When you’re ready to buy, we credit $50 to your account. If you’re not 100% on board, no problem. Remember, there’s no hassle, no obligation.. and no excuse not to get rolling today!